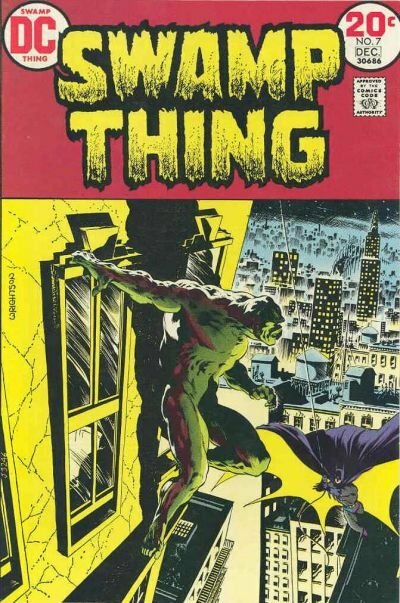 Click Here To See Swamp Thing #7 Comic Book! Check out this incredibly DETAILED 1973 SWAMP THING page, which was penciled and inked by the greatest horror artist of the past 50 years..... Bernie Wrightson! This great page is from the classic BATMAN story titled: "Night of the Bat!" This superbly detailed page features Bruce Wayne at aboard meeting at the top....then we get to see Alfred Pennyworth talking to Bruce Wayne as he grabs his very detailed costume, changes into BATMAN and Leaps from his penthouse onto the Gotham City buildings ready to PROWL FOR THE NIGHT! 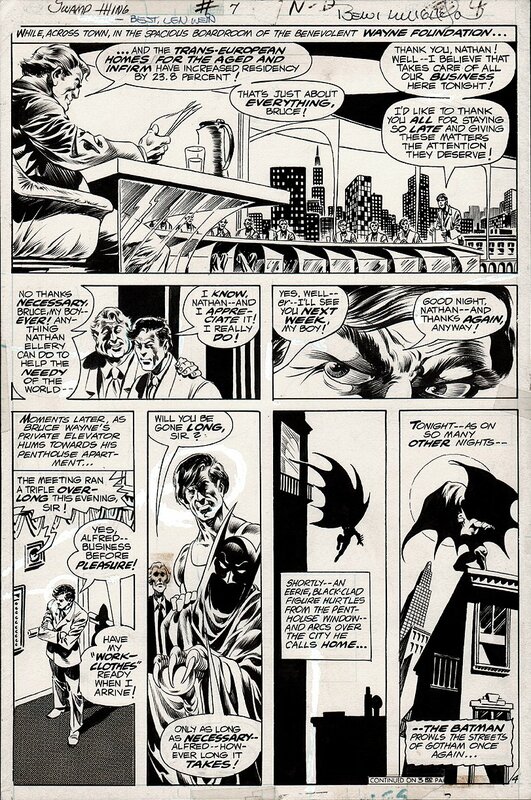 Just a great GREAT 1973 BATMAN page, from the greatest horror artist of the past 50 years! ALL art on our website (including this one) are able to be purchased with VERY fair time payments, and trades are always considered towards "ANY" art on our website! Just send us an email to mikeburkey@aol.com and we can try to work something out.